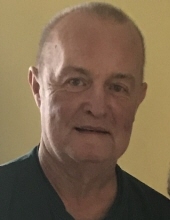 John P. McClellan, age 71, of Cameron, WV, passed away Wednesday, January 23, 2019 at Reynolds Memorial Hospital, Glendale, WV. Born February 13, 1947, he is the son of the late William Milburn and Mary Louise (Campbell) McClellan. John was a resident of Cameron, WV, for the past 50 years. He graduated from West Greene High School and become an Electrician Apprentice in 1965. John was a member of the South Wheeling Baptist Church. After graduation from West Greene High School he married the love of his life, Donna Elaine (Wendt) McClellan, on August 20, 1965. The couple was married for 53 wonderful years. John was employed for International Brotherhood of Electrical Workers, Wheeling, WV, for 42 years until he retired in 2009. He was a member of the Sons of the American Legion Post #18, Cameron, WV, and the Masonic Lodge of Cameron Post #17. He enjoyed spending time with his friends at the Cameron American Legion and Masonic Lodge. John is survived by his wife, Donna Elaine McClellan, of Cameron, WV,; two children, Michele (Timothy) Winters, of Franklin, VA, and Johnathan (Cassandra Ord) McClellan, of Morgantown, WV. ; two grandchildren, Tyler William and Tanner Paul Winters, both of Franklin, VA; two sisters, Norma Jean Guthrie, of Wind Ridge, PA, and Martha Ann Klinedinst, of Washington, PA; his extended family, Kelly (Joe), Abbey, Joey and Eva Barki. In addition to his parents, he was preceded in death by one brother, William “Bill” McClellan. A gathering of friends will be received on Sunday, January 27, 2019 from 12-2 p.m. at Kesterson- Rush Funeral Home, LLC. 3275 W. Roy Furman Hwy. Rogersville, PA 15359. Telephone: 724-499-5181. A memorial service will follow at 2:00 p.m. with Pastor Phil Campbell, officiating. In lieu of flowers, memorial contributions may be made to the American Heart Association, www.donatenow.heart.org. To send flowers or a remembrance gift to the family of John P. McClellan, please visit our Tribute Store. "Email Address" would like to share the life celebration of John P. McClellan. Click on the "link" to go to share a favorite memory or leave a condolence message for the family.